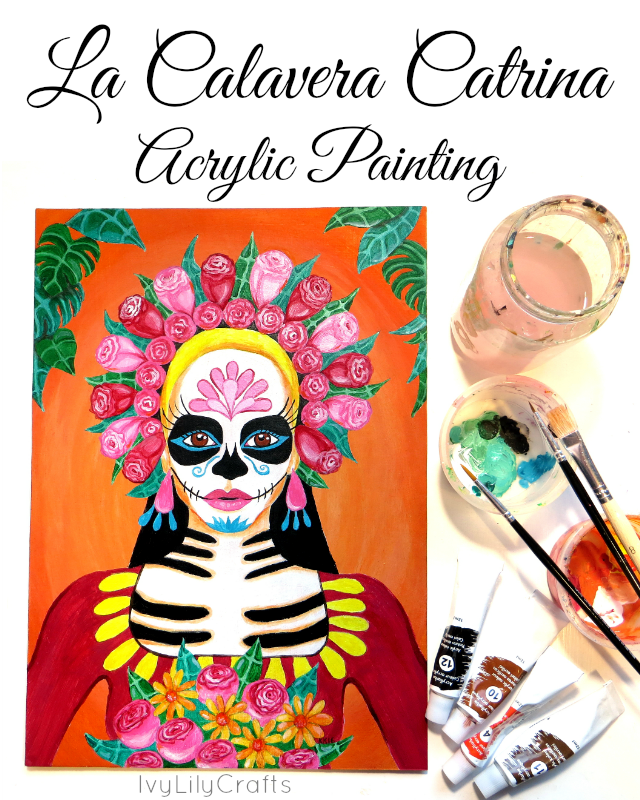 My newest acrylic painting is a portrait of La Calavera Catrina or a sugar skull girl. Catrina, a skeleton woman dressed in nice clothes, is the icon for the Mexican holiday, Day of the Dead (Día de Muertos). José Guadalupe Posada's original La Calavera Catrina was a satire of indigenous upper class Mexican people who imitated European style and made their skin look white with makeup, denying their own cultural heritage. Read on to learn about the painting process or watch the time lapse video. It's almost the end of Inktober 2016! This was my first time taking part in Inktober, which is a 30 day art challenge running every October. Read more about the Inktober challenge and the art supplies I used. My goal was to execute seven ideas and sketches I had into ink drawings and some of them into coloring pages. I didn't set out to make 31 Inktober drawings, because I knew I wouldn't have the time. Not only was I making the ink drawings, I was also scanning and editing them for coloring pages and art prints, taking photos for Instagram and Twitter and filming and editing the inking process for YouTube. It would be fun to make a 31 page coloring book during Inktober, though. Maybe some other year. 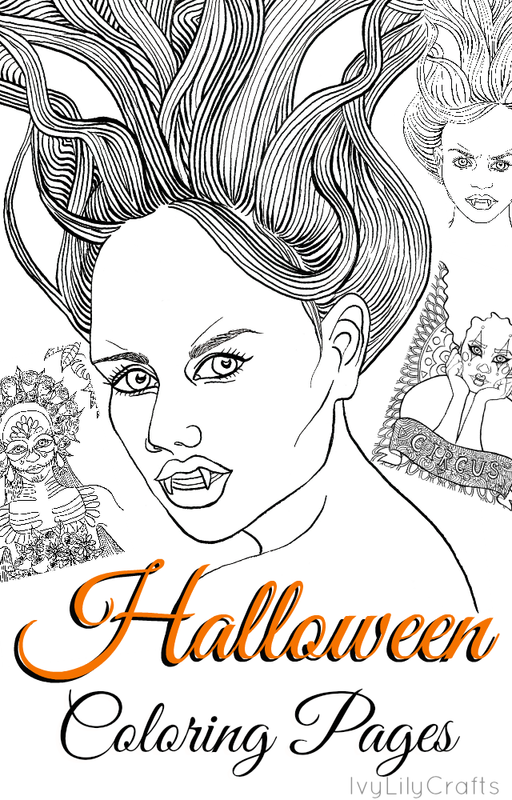 Have a look at the coloring pages I made and read what I learned from taking part in Inktober. Inktober 2016 begins today! Inktober is an art challenge running every October. The rules are simple: make a drawing in ink, post it online and hashtag with #inktober and #inktober2016 and repeat. You can make it a daily challenge or do it every other day or once a week etc. 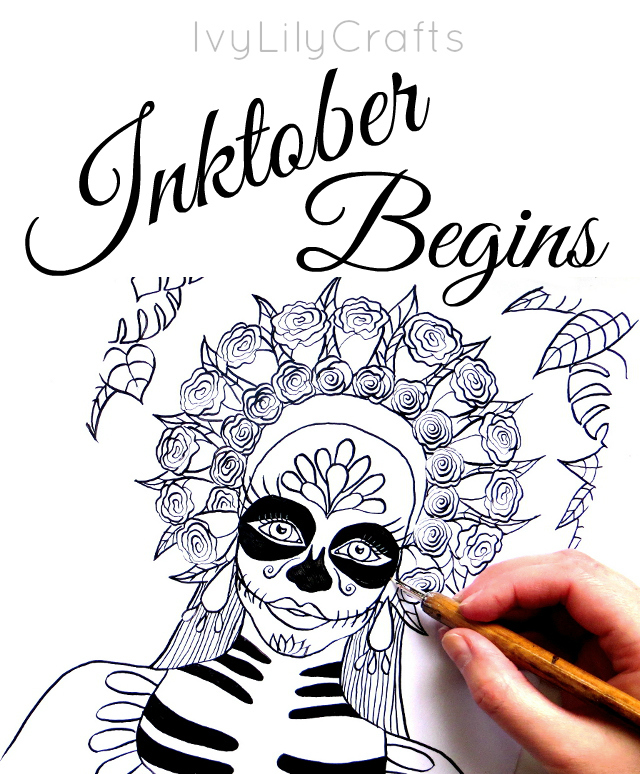 For more instructions and ideas for your ink drawings, visit the official Inktober webpage. I'm doing Inktober for the first time this year (this time last year I didn't even know it existed) and I've been looking forward to it since the summer. I'm not planning to do daily ink drawings, because I also want to make videos of the process and turn the drawings into coloring pages and art prints, and there just would not be enough time to do all of that over again every day. So far I have seven ideas somewhat sketched out so my goal is to make seven A4 sized ink drawings during October.